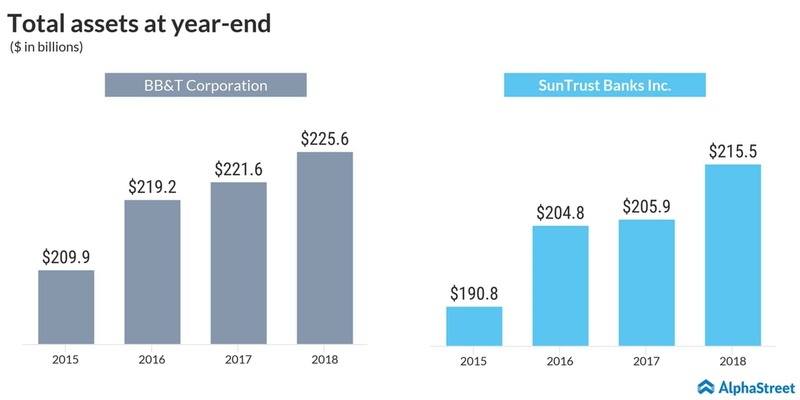 Will the BB&T-SunTrust merger pave the way for more deals? BB&T Corporation (BBT) and SunTrust Banks Inc. (STI) have agreed to join together in an all-stock merger of equals valued at approx. $66 billion. 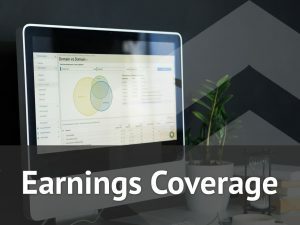 The merger is expected to close in the fourth quarter of 2019, subject to approvals and conditions. Under the terms, SunTrust shareholders will receive 1.295 shares of BB&T for each SunTrust share they own. Approx. 57% of the combined company will be owned by BB&T shareholders and around 43% will be held by SunTrust shareholders. The combined entity will become the sixth largest bank in the US in terms of assets and deposits, and will have around $442 billion in assets, $301 billion in loans and $324 billion in deposits. The combined company will operate under a new name and brand, and will be headquartered in Charlotte, North Carolina. The transaction is expected to deliver around $1.6 billion in annual net cost synergies by 2022. Kelly S. King, Chairman and CEO of BB&T, will serve as the Chairman and CEO of the combined company till September 12, 2021. He will serve on the Board of Directors till the end of 2023. William H. Rogers Jr., CEO of SunTrust, will serve as President and COO of the combined company until September 12, 2021, after which he will take over as CEO. In March, 2022, he will become Chairman and CEO of the combined company. The merger is the biggest one to take place since the financial crisis in 2008, and several analysts believe more consolidation can be expected in the banking sector soon. Currently, the top three banks in terms of assets are JPMorgan Chase (JPM), Bank of America (BAC) and Citigroup (C). Other smaller players will need to join forces to catch up with them. Moreover, investments in areas like technology can lead to higher expenses and forming collaborations with peers can help lower costs. Shares of BB&T were up 2.6% in afternoon trade while SunTrust’s stock soared at 8.8%. We’re on Apple News! Follow us to receive the latest stock market, earnings and financial news at your fingertips.